Spring has finally sprung in Western Pennsylvania, and I couldn’t be more excited. Warm weather puts me in such a good mood, from running outside in the sunshine, driving with the window down or seeing fresh flowers. I’ve been itching to sport my favorite Spring styles, and mixed prints were top on my list. Great outfit! 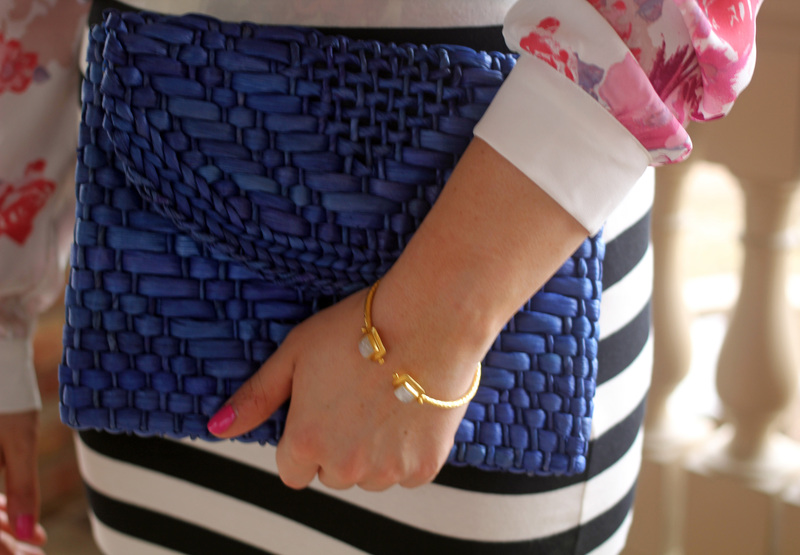 I love the bold stripes mixed with the florals and the bright pops of color through the necklace and the bag.